GREENSBORO, N.C. -- Chauncey Daley is one of the people that's grateful to call Greensboro's Hope Court home. "The apartment is impressive. It's one of the nicest apartments I've been in," Daley said. The 16-unit Hope Court offers rent $300 to $400 below market value for low- to moderate-income families. David Levy is the executive director for Affordable Housing Management, the nonprofit that's backing Hope Court. Levy says Hope Court's location near Gate City Boulevard and its budget-friendly rates are some of the reasons why the community is filling fast. "A lot more families are at the poverty level and the need for affordable housing has increased quite a bit," Levy said. 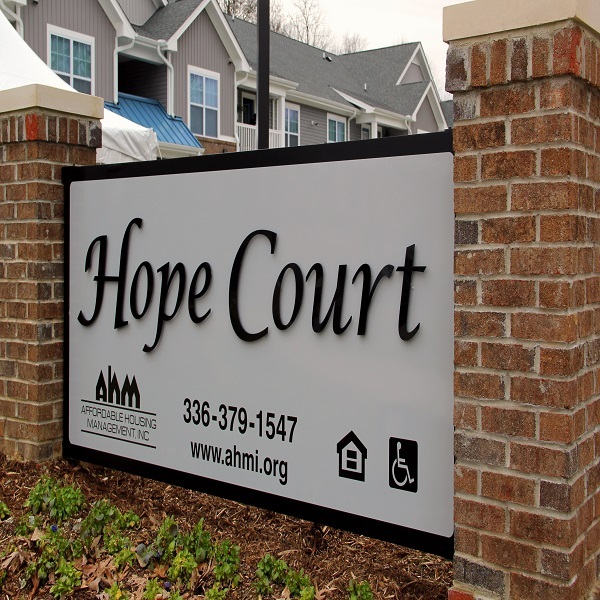 Along with affordable rent, Hope Court offers classes on budgeting and home ownership. Also, people living at Hope Court can qualify for scholarships if they want to further their education.